Following the devastating tragedy, the centre of New Zealand’s second largest city is now a brown field site with buildings reduced to rubble. In order for the once thriving city to regain its vibrancy and encompass all that a modern city can be, planners need to take a considered and measured approach to it reconstruction. That’s according to Dr Joel Cayford, planning consultant and former chairman of Auckland Regional Transport Committee and Auckland Regional Council. Dr Cayford is chairman of the marcus evans Urban Transportation Planning and Integration Forum taking place on 11-12 April in Kuala Lumpur. “Christchurch was developing into a polycentric centre and that old historic heart has now been largely destroyed by the earthquake. The whole community is devastated with the loss of its heritage buildings and all that makes people love their city. It’s going to take a while for a community to recover from that and decide what it wants to be,” Dr Cayford explains. 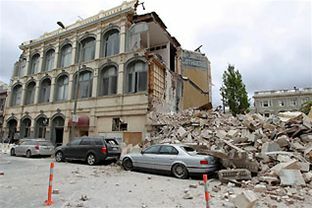 In rebuilding Christchurch, he suggests that a polycentric city, where it is organised around several centres, is one that is more resilient in an earthquake-prone environment. “A polycentric city enables people to live closer to work and schools, healthcare etc. But until the geotech work has been carried out and the vulnerability to future earthquakes is really assessed, it’s hard to speculate,” he says. In a global context because of modern-day pressures on natural resources, Dr Cayford emphasises the need for cities to adhere to sustainable planning practices especially when it comes to urban transportation. “For a long time after the war the cost of fuel was a pretty insignificant external factor but now with a huge shift to cities and the escalating cost of fossil fuels there is a lot more thinking that metropolitan cities have to be efficient. It’s about constructing an urban environment that is not so energy hungry, he adds. “If you have inefficiently planned urban environments, it is wasteful on fuel and energy. Particularly businesses with operations that are all very distant from each other. The cost of transport starts becoming a major proportion of the cost of production. “Some New Zealand, Australian and American cities are far less efficiently organised than more modern Asian cities, which have understood this idea better,” he notes. The marcus evans Urban Transportation Planning and Integration Forum will take place on 11-12 April in Kuala Lumpur.